Tomorrows seminar (Oct 22) will be given by Johan Holmgren. He will present his contribution to the Silvilaser conference: “Estimation of tree stem attributes using ground based and airborne laser scanning”. You can also find the slides from the previous seminars on the Seminar page. Next weeks seminar (Oct 29) will be given by Jonas Jonzén. 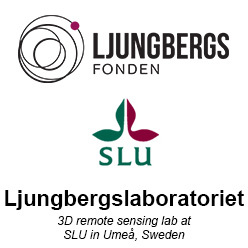 He will present the nationwide forest attribute map of Sweden derived using airborne laser scanning data and field data from the national forest inventory.